For a new apartment with outside space and a view, you need look no further than Redcliffe Place. 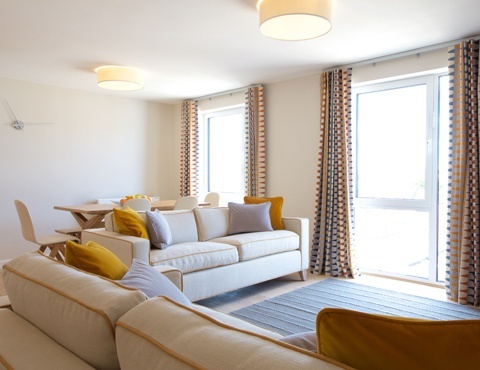 All of these newly converted luxury apartments have a balcony or terrace, some with views over Bristol’s skyline towards beautiful Ashton Court, which provide valuable outside space for you to enjoy at this tranquil but central location. Only moments from Bristol’s Harbourside, Redcliffe Place is the perfect place for you to soak up the scenery, knowing you’re just a short walk from Temple Meads Station, the Temple Quay business quarter as well as many of the finest entertainment, dining and cultural spots to found in the heart of Bristol. Redcliffe Place radiates vibrancy and style. The spacious two and three bed, open plan apartments are all fitted with contemporary Porcelanosa kitchens and bathrooms and come with a high specification and finish which includes Neff integrated appliances. Floor to ceiling windows feature in living areas and bedrooms, letting the natural light flow through, whilst the private outdoor spaces further add to the natural brightness in this beautifully converted building. Select apartments also come with an allocated parking space, accessed by an electronic gate and all apartments benefit from secure bike storage. For further information, contact Knight Frank on 0117 317 1999 or Ocean Land & New Homes on 0117 946 9838.